iLink Media Group is an Edmonton based mobile broadcast & webcast company catering to Live event clients across North America. Being an agile and experienced company we can easily adapt to the needs of our clients. Whether for broadcast, webcast or in-venue screen supply, equipment rental or full turnkey production services, iLink Media Group offers a proven and cost-effective solution. Our lead product is Genesis, a 24 foot mobile production facility that offers much of the same capabilities and quality as large mobile production units, at a fraction of the cost. With decades of experience in Live Television, Live Event Production, Broadcasting and Webcasting, the principles of iLink Media Group have pretty much seen, and done it all... including the Olympics, NHL Hockey, NBA Basketball, Pan-Am Games, CFL Football, professional rodeo, plus numerous Live concert and corporate events. Contact us today to find out how we can help make your event the best it can be. 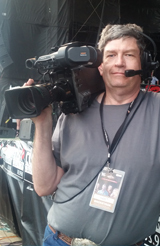 John’s career has spanned an incredible five decades in the broadcasting industry in Canada and is an award – winning producer, technical director and videographer. 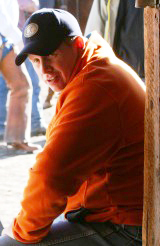 While his first love is directing, he has worked in all technical and non-technical facets of production. John has worked on national and international productions for broadcasters world-wide primarily in sports, entertainment and news. Some of his credits include Olympic and Commonwealth Games broadcasts, national music awards broadcasts and international sports championships for broadcasters like Olympic Broadcast Services (OBS), ABC, CBS, NBC, ARD1 – Germany, CBC, CTV, FOX, ESPN and TSN. Currently John works as a freelance director and technical director for NHL hockey broadcasts for visiting US broadcasters in Canada and is the director for Canadian broadcasts of Washington Capitals hockey for Comcast/NBC.